A leading summer event in Paris for nearly 30 years, this elegant and secret affair is well on its way to becoming a Houston tradition! 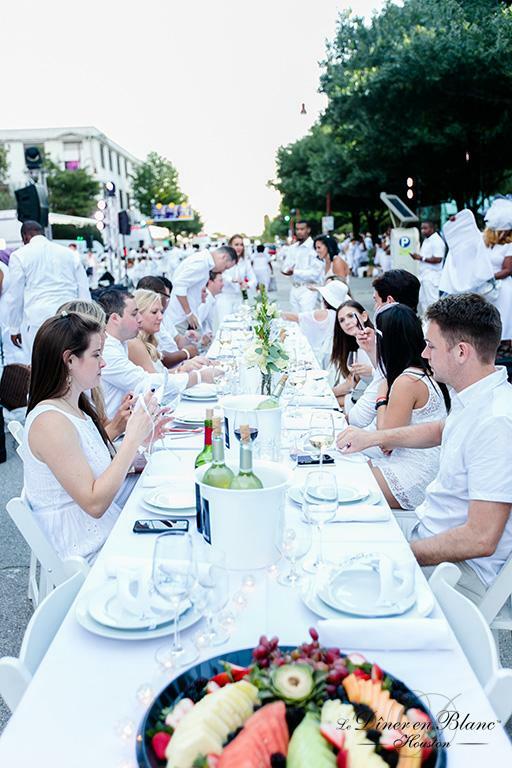 On Saturday, November 18, 2017, Le Dîner en Blanc – Houston will return for its third year. The breathtaking scene of thousands of guests elegantly dressed in white, descending upon one of the city’s most prestigious public spaces, is extraordinary for guests and passers-by alike. To learn more about this event, visit houston.dinerenblanc.com.